When families can no longer provide the medical care that a loved one requires, they may need to place that family member in the care of a skilled nursing facility otherwise known as a nursing home. Obviously everyone wants to find a facility that is both safe and has an environment where there loved one cannot just survive—but truly thrive. The selection of a nursing home for a family member will likely be one of the more important decisions you make for your loved one—and yourself. Like it or not, the nursing home industry is a big business. Whether the facility is large or small, in a big city or small town, there are economic pressures on the facility to keep heads on the beds. The more patients a facility has, the more money it is bringing in. On a similar note, there is an industry trend towards staffing facilities with workers who may be under-qualified or without simply not enough staff to care for the patients at the facility. Again, these decision are primarily economic in nature when the operator of a facility attempts to extract as much profit from a facility. While the owners of nursing homes are making record profits, patients in nursing homes face systemic problems which may lead to there decline or serious injury. Perhaps your family member has a medical condition where they have been hospitalized and their physician's suggest a discharge to a nursing home. Most hospitals have social workers or other support staff that can suggest facilities that may meet your needs. In a case where a person may be living independently or with you, but requires a higher level of medical care than you can provide, asking their personal physician for some suggestions in terms of nursing facilities that they like can be a good starting point as well. Once you are armed with a list of facilities, you can cover quite a bit of ground in terms of researching them by looking at a few different websites. One of the benefits of the fact that most skilled nursing homes government funded and controlled is that information on them is regularly gathered and is accessible to the public. 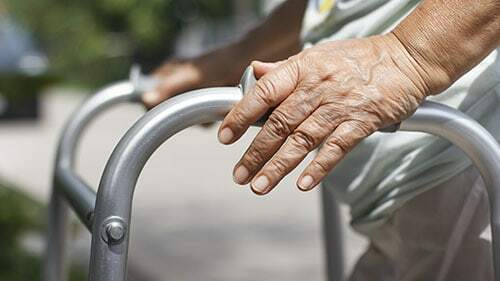 Over the past several years Federal and State Governments have responded to public requests with the development of Medicare's nursing home compare website as well as state's department of public heath in Illinois. Medicare's Nursing Home Compare: The federal government has listings for each Medicare funded nursing home in the country. 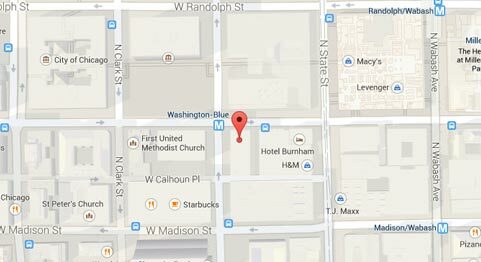 You can look up a facility by name or proximity to your city or zip code. Here you can also access information on the facilities location, but perhaps most importantly rating-information from inspections of the facility when it comes to: health inspections, staffing levels and quality measures. Using a 5-star rating system, facilities receive a rating in each category. Tip: put more weight on the staffing ratios compared to other categories, as they are likely a better predictor of care than others. Illinois Department of Heath : Illinois residents are fortunate to have a fairly advanced database of nursing facilities within the state that is organized and updated by IDPH. Here, you can access much more detailed information on a facility that you may be considering by accessing recent survey reports as well as information on the owners and patient demographics. You've Done Some Research on a Facility. Now What? Armed with some information you've accessed about a facility from physician and staff suggestions and information from your online snooping, you are now ready to pay a visit to a facility. An in-person visit is probably the most important thing that you can do when selecting a nursing home where a loved one may be living for the short or long-term. While you can read at length about how a facility is rated, seeing things with your own eyes can be far more telling. You may contact the administrator (manager) of a facility to arrange for a visit. Right away you should be able to get some insight into the facility from how the administrator responds to your request. Is he or she genuinely responsive to your request or do they make you feel like they are doing to you a favor by speaking to you? How does the facility look? Is it clean or tired and dirty? How do the patients at the facility look? Of course most people are there because they are elderly or sick, but do they seem clean and well cared for? Is everybody in their bed? How does the staff look? Are they friendly? Do they seem stressed and crabby? Does the facility offer any amenities? While a nursing home will not be a Ritz Carlton—nor should it—does the facility offer some type of recreation? While one scheduled visit can be telling, paying another second visit—completely unannounced can be equally—or perhaps more so. Sometimes, facilities put their best foot forward when a visit is announced. If you are denied a tour of the facility during an unannounced visit, then you may wish to reconsider the facility as a possible selection for your family member. The placement of a loved one in a nursing home can be stressful indeed. During the process, it is important to remember that there's no such thing as a ‘perfect place'. While a facility may not check every box in terms of what you desire for your family member, the facility should offer a pleasant and safe environment. You should always monitor your family member—especially during the initial transition to a facility—when they may having the most difficult time adjusting. Anytime you notice a condition that is concerning, make your voice heard to staff at the facility—you may be avoiding larger problems down the road. And remember, sometimes selecting the best facility for a loved one comes through trial and error—sometimes on a second try!